Religious leaders in Edo State have said that they will work together to empower children and reduce the issue of begging in the state. 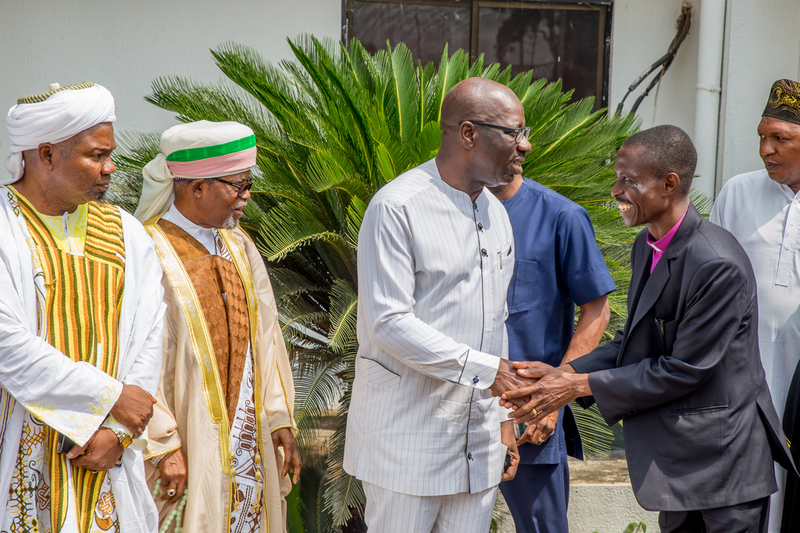 This was as Governor Godwin Obaseki of Edo State hosted them to breakfast at The Government House in Benin City. Speaking with the religious leaders, the Governor noted that the state of street children is one of the reasons he decided to meet with them, especially seeing as they held important roles in the society as religious leaders. He said, “The state of street children is of burning concern. I am very worried about it. We cannot ignore it. We have come together to deliberate and work on it. A stitch in time saves nine, so, the sooner the better”. Meanwhile, the Chairman of the Christian Association of Nigeria (CAN), in Edo State, Rt. Rev. Peter Imasuen expressed the readiness of CAN to work with the government. “Some of these children run to the Church whenever they have problems, but the government should also de-emphasise secondary education and focus on vocational institutions so that the children and youth will have a means of self-employment after school”, he said. In the same vein, the Otaru of Auchi, Alhaji Aliru Momoh (Ikelebe III) noted that the government should assist in the completion of a school for the almajiris as this will extensively remould their lifestyle, which extensively relies on begging for sustenance. Also on the table for discussion was the issue of religious tolerance to which Evangelist (Mrs) Margaret Agbonifo said, “There should be strong love. Without love, there can be no reform in the land”. Also at the breakfast meeting were eminent Christian and Muslim leaders including Imam Abdulfatai Enabulele (Chief Imam of Benin), Reverend Felix Omobude, and others.